Derrick Lee Jr., 12, Killed, Teen Injured in Asheville Apartment Shooting; Was This Tragedy Preventable? Could the tragic death of this young boy have been prevented and is justice available to his family? Security measures are in question after 12-year-old Derrick LaQuinn Lee, Jr. was shot and killed outside an Asheville apartment complex Sunday, July 1, 2018. According to FOX Carolina, officers responded to “Lee Walker Heights around 3 a.m. where they found two male victims, ages 12 and 18, suffering from gunshot wounds.” Both were transported to Mission Hospital, where young Derrick LaQuinn Lee, Jr. tragically succumbed to fatal injuries. The teenage victim’s identity and current condition have not been released. 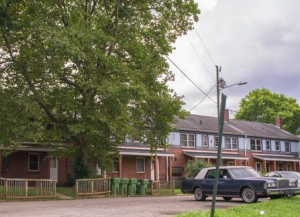 The tragedy “was the second fatal shooting in Lee Walker Heights in about as many months,” according to Asheville Citizen Times reports. “In late April, 21-year-old Devron Jervay Harvin was killed there” and a “24-year-old man was shot in Lee Walker Heights” in May. Did negligent security contribute to the senseless loss of a child and the injury of an Asheville teen? We represent individuals and families who have suffered a tragic loss or injury as a consequence of negligent property security. Read Our Legal Take below to find out if Derrick Lee’s family may have a legal avenue for justice and claims for substantial compensation in North Carolina, or call now for a free consultation with our legal team: 888.842.1616. What additional security measures, such as bright lighting, gated-entry, surveillance cameras, and security patrols, were implemented by the apartment complex owner following media reports of prior violence on property? Generally, property owners are required to protect all those legally on the premises from any foreseeable harm. Should the facts of this matter reveal that the apartment complex owner failed to provide adequate security to protect those on its premises, the family of Derrick Lee, Jr. may seek justice and elect to pursue legal claims his wrongful death. Additionally, the other young victim of this tragic shooting may pursue legal claims for his injuries.